How to import Clients with a flat file import? 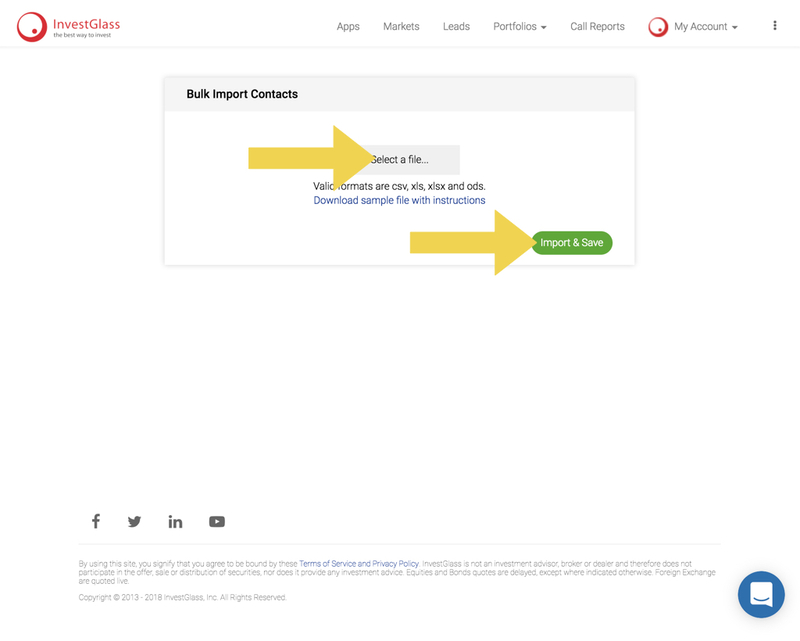 To import new contacts, you can add them manually. One by one or with a flat file import. 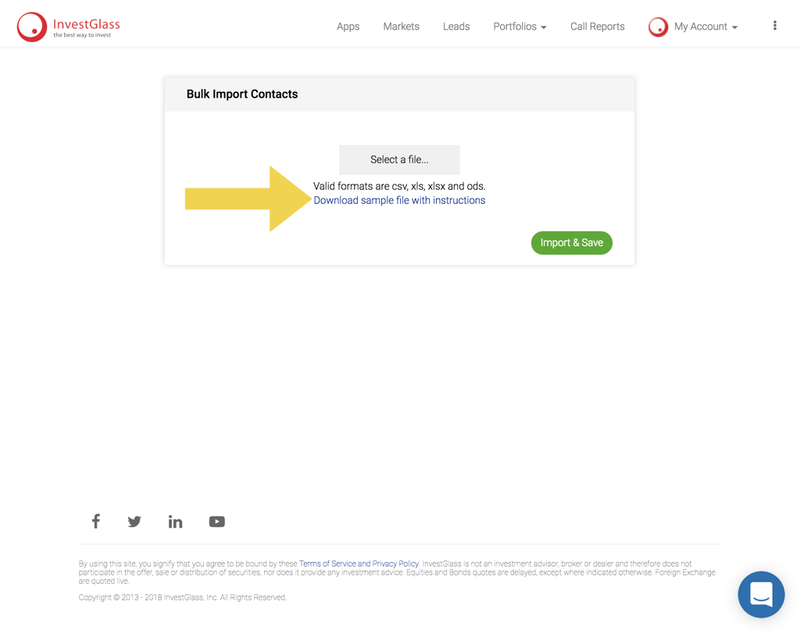 Go to Company Contacts page and click on Bulk Import. Download the sample file with the instructions. 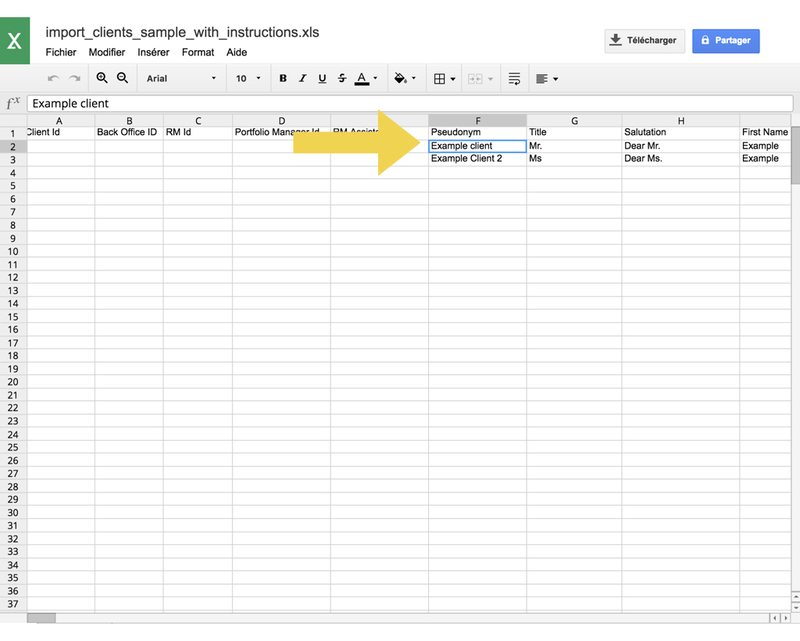 Change and Add all of the data of your new contacts in the file. Don't forget to save. Click on Select a file, select the previous file and click on Import & Save. 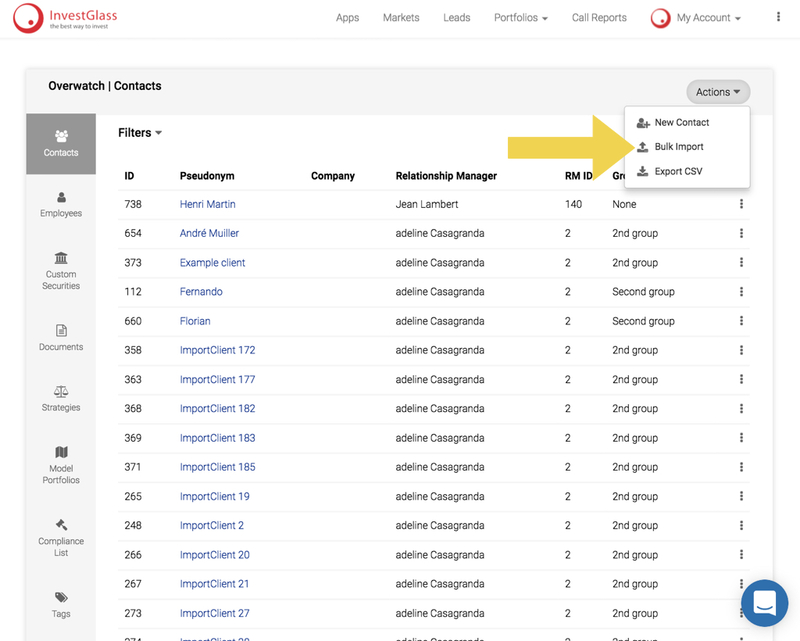 Now you can find your new list of contacts in the company contact's page.